Froggy Match-it is a graded, interactive phonics game for use on a tablet or phone. It is meant for beginner readers who know most of the single letter sounds and is designed to fit in with the main phonic schemes used in schools. The Intro Level and Level 1 of Froggy Match-it deal with consonant-vowel-consonant words and are also available as a separate, FREE app. Further phonic skills are dealt with in higher levels: the full Froggy Match- it app costs £3.99 in the UK. For schools, discounted multiple licences are available. 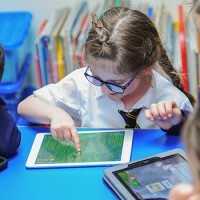 Teachers who are using the app in the classroom tell us that Froggy Match-it is ideal for consolidating phonics class work: the app follows the structure of most phonics schemes and children can practise their phonics skills effectively and independently. The three phonics games at each of the eleven levels of this fun, educational game build on what has been learnt previously, until most of the phonics taught in schools has been covered. 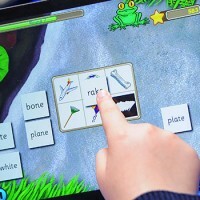 Froggy Match-it involves the pupil in recognising, building and then using an on-screen keyboard to spell words. Later levels also have a fourth game where children have to use their phonic skills in sentence contexts. Tablets are an ideal way for children to learn kinaesthetically and consolidate their emerging reading and spelling skills. Teachers tell us that their pupils enjoy the games, really concentrate and learn and also get through more work than when using other methods. 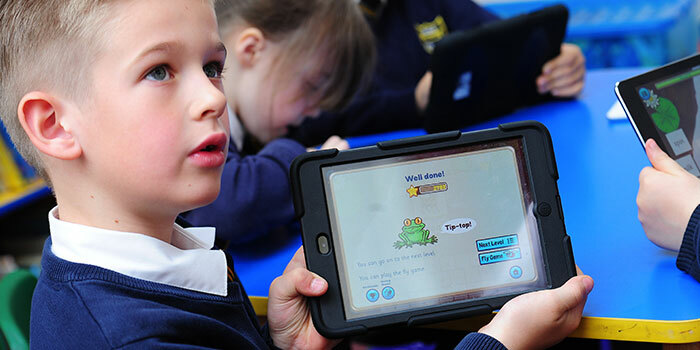 Constant feedback and monitoring enabled by the Froggy Match-it app means that children are always learning at their level, are not wasting time and are learning effectively. The games need virtually no explanation or supervision and are designed with constant progression in mind. Children can work at their own pace and schools have reported success with pupils from a wide range of abilities and ages. The inbuilt assessment makes sure children have really acquired the phonics skills at each level before being able to move on. There is an ‘unlock’ option for teachers so you can decide which levels certain children play. There is a printable certificate and a fun reward activity that children can play when they have successfully completed each level. Credits are given to ‘spend’ on the fly game, which has proved enormously popular with pupils of all ages. There are free A4 worksheets at each level to download: perfect for reinforcement and to send home. Each month, Froggy Match-it is also giving away extra sets of free sheets which go with particular levels of the game: you can subscribe to our monthly email to obtain these. There is a series of decodable e-reading books to purchase, closely matched to the phonics words used at each game level.